How is this for ambitious? Vodacom in South Africa is hoping to sign up 10m subscribers to its M-Pesa mobile banking and payments platform within the next five years. To put that in context, the cellular operator managed to sign up only a million South Africans after M-Pesa was first launched in 2010. Vodacom, now working with Bidvest Bank instead of Nedbank, relaunched M-Pesa in its home market last week in an effort to get consumers more interested in a payments platform that has enjoyed huge successes in Tanzania and in Kenya, where it was conceived and developed by sister company Safaricom. According to Vodacom’s latest annual report, M-Pesa in Tanzania contributed nearly a fifth of the company’s service revenue in that market in the financial year to end-March 2014. The group has 6m M-Pesa customers across its markets in Southern Africa. More than half of Vodacom’s customers in Tanzania uses M-Pesa. In Kenya, Safaricom has over 18m M-Pesa users, representing more than 70% of the East African nation’s adult population. The fact that M-Pesa — pesa is the Swahili word for money — has not amounted to much in South Africa, Vodacom’s biggest market by far where it has 32m mobile subscribers, has proved immensely frustrating for management. But it’s taken its time recrafting the proposition for the local market, putting off the relaunch by a year while it ensures, for one thing, that it has the right framework in place with regulators to ease the paperwork burden. 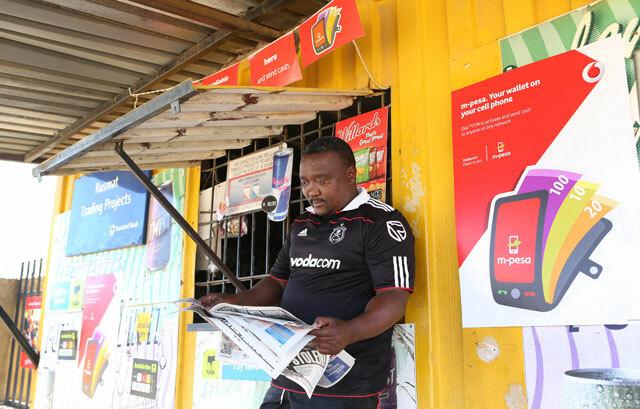 Vodacom is pinning its hopes on a turnaround for M-Pesa in South Africa on four main pillars: distribution, registration, functionality and loyalty. Of these, distribution is probably the most important. That’s why the company intends ensuring that M-Pesa is available just about everywhere that consumers can buy airtime. It plans to roll out the service to 30 000 retail outlets, both formal and informal, by year-end, from about 8 000 outlets now. That’s orders of magnitude larger than at 2010’s launch. Experience in Kenya and Tanzania shows that M-Pesa has to be accessible just about everywhere. Ease of registration is also likely to be decisive in reviving M-Pesa’s fortunes. Gone is the need for customers to present themselves in person with their ID. Now they can simply sign up using the USSD menus on their phones. They don’t need to go through a “Fica” process, although transactions are limited to R1 000/day or R25 000/month. Those wanting higher limits must get Fica’d. Vodacom is also offering a Visa-branded, chip-and-Pin-based debit card, allowing them make purchases where M-Pesa is not accepted. The card costs R10, but attracts no monthly fees and comes with bonus airtime. Indeed, free airtime incentives are a big feature of the new M-Pesa to drive customer uptake and product stickiness. The debit card provides access to 27 000 ATMs on the Saswitch network and to 240 000 merchants countrywide. Fees seem reasonable, too, with no charges if the customer doesn’t use the service. There is, however, no interest paid on positive balances. It’s free to deposit money. Transfers to other M-Pesa customers cost R1 (R4 to non-registered customers and to users on other networks) and cash-out costs R2,50 plus R1 for every R100 at retail and R5 plus R1 for every R100 at an ATM. To load the M-Pesa wallet, consumers either buy vouchers or top up their accounts using Internet banking. Though Internet transfers take a full day to reflect on users’ M-Pesa accounts, Vodacom says this will be reduced to just 15 minutes soon thanks to agreements with the banks. Employers can also deposit wages directly into employees’ M-Pesa wallets, making them more akin to full-service bank accounts. Vodacom’s new approach to M-Pesa certainly ticks the right boxes; it’s likely to be much more successful this time around. But it won’t have the market to itself. 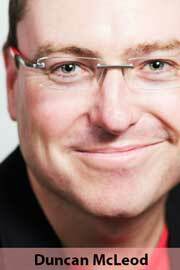 Rival MTN is also making significant headway in the m-payments space. It relaunched its Mobile Money offering in partnership with retailer Pick n Pay in June and is offering consumers similar services to M-Pesa. Only time will tell whether MTN and Vodacom will be more successful. But the inevitable dogfight as South Africa’s two largest mobile operators scramble for dominance in a new market will undoubtedly propel innovation and benefit consumers as mobile phones become a platform for mass commerce.